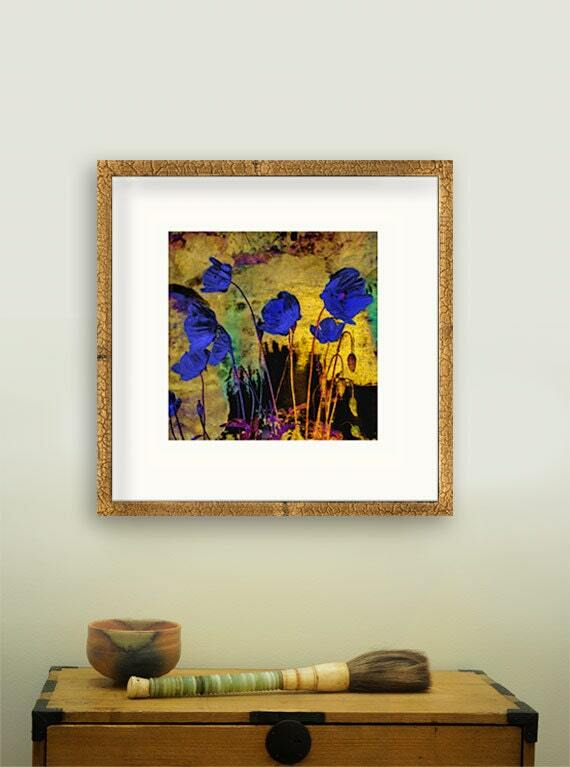 This print is a photo art collage inspired by the pond in my garden. Every summer I look forward to the return of the golden poppies, which are volunteers and come up randomly around the water. 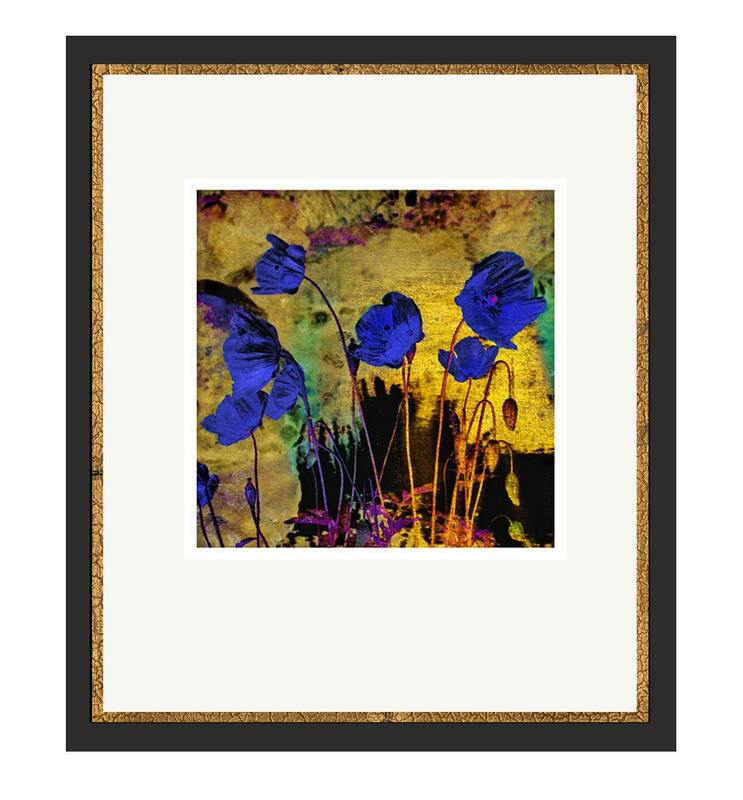 This print brings together the feeling of a summer afternoon dreaming in flowers, and the influence of one of my favorite artists, Redon. Redon is known for his naive and beautiful still lifes. 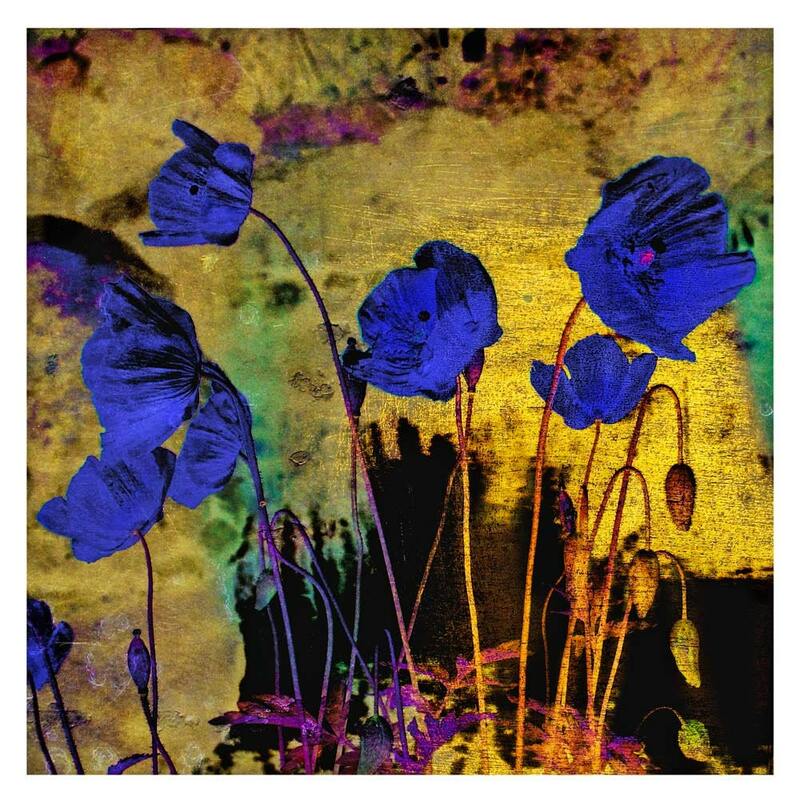 If he felt like a yellow poppy was blue at heart he would certainly have painted it that way, although it may exist only here and in the imagination. This print was originally produced in a very limited edition of 3 on bright white paper. 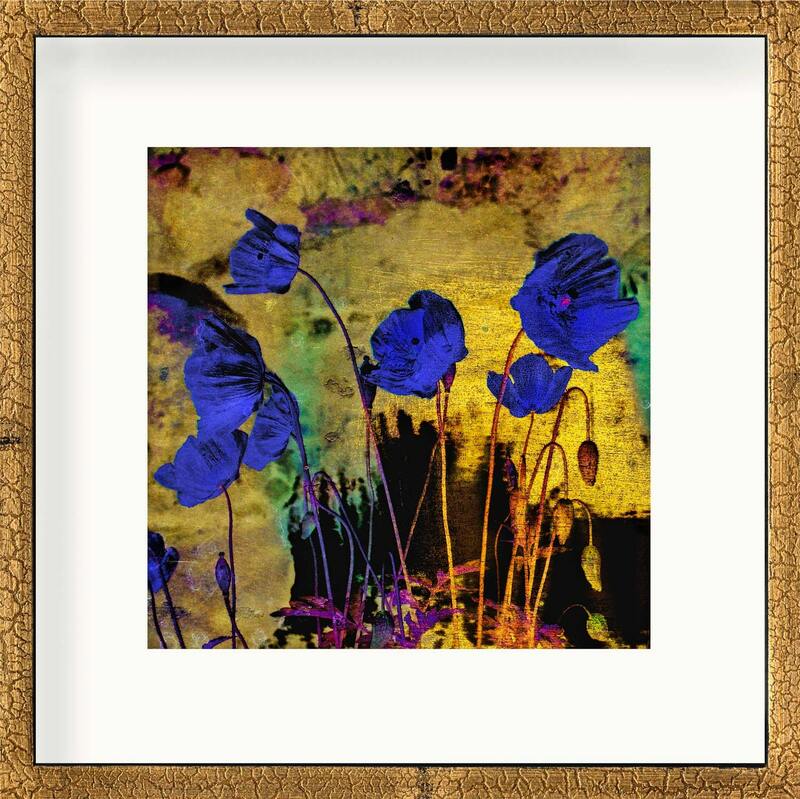 Due to the high interest in "Blue Poppies for Redon" I have released a new larger edition on a cream rag paper at a price that is more affordable than my smaller editions. This print is part of a series called "The Gardener's Almanac of Irreproducible Phenomena" in which I attempt to capture the mysteries of my garden as it moves through the seasons. These prints are meticulously proofed and printed on heavyweight cream archival paper with pigment inks rated to last for 100 years or more. Due to the differences in various monitor settings I cannot warrant an exact color match between what you see online and the actual print. The prints come with a certificate of authenticity verifying the edition number and the edition size. They are traditionally numbered and signed in light pencil with the number on the left and the signature on the right, just below the image. They can be framed with or without a mat. The small botanicals are sized to fit Aaron Brothers Signature Frames, or frames from Crate & Barrel, but can also work in Ikea frames or others with a more vertical proportion. Images shown suggest two different styles and proportions, but are for ideas only, as prints are sold unframed. Packaging Detail: Shipped flat in a sturdy cardboard mailer.